Toyota will draw on all its 2017 World Rally Championship (WRC) learnings in the season's only mixed-surface event, Rally Spain, next weekend. The Toyota GAZOO Racing World Rally Team will have just 75 minutes of service time to convert its three Yaris WRC cars to tarmac configuration after Friday's gravel stages south of Barcelona. 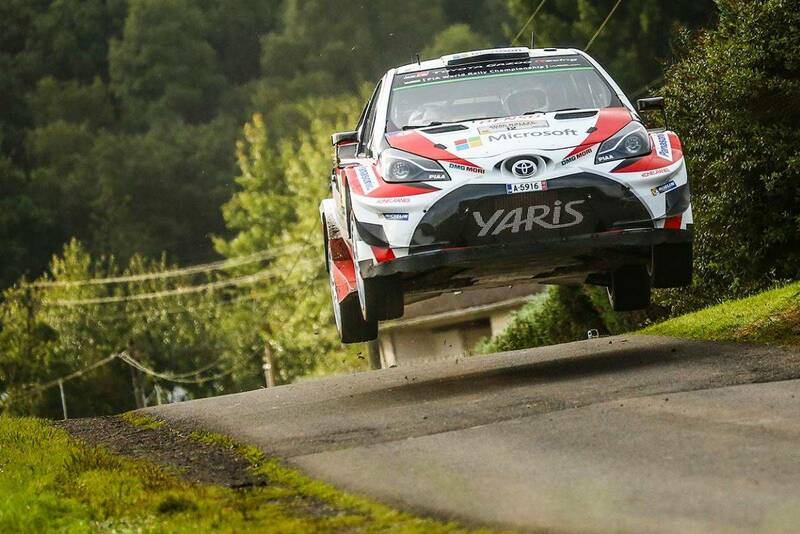 The final two days of the rally are on fast, flowing tarmac - the best asphalt roads in the 13-round championship according to Toyota's two winning drivers this season, team leader Jari-Matti Latvala and first-year WRC driver Esapekka Lappi. Latvala is primed for a strong result after finishing second in Spain four years in succession from 2012 to 2015. "I had two days of testing for Spain last week, focusing on the suspension for asphalt and the differential on gravel," Latvala said. "The change of surface creates extra work for the mechanics and engineers, and as drivers we need to adopt our driving style overnight," he said. "Our car showed winning speed on gravel in Finland and the performance was there on asphalt in Germany, so we should be competitive." Latvala, Lappi and the team's third driver Juho HÃ¤nninen all took stage wins last time out on the narrow tarmac roads of Rally Germany. Lappi won the last gravel rally in Finland at the end of July. Team principal Tommi MÃ¤kinen said the team has new parts and new ideas with a target of making further improvements in Spain. Rally Spain is the 11th of the 13-round world championship, which concludes with Rally Australia in November. Toyota motorsport: In 2017, Toyota marks the 60th anniversary of its first international motorsport entry (and the first by a Japanese car manufacturer), when it contested the 1957 Round Australia Trial. This is why many people consider Australia to be the birthplace of Toyota motorsport. Today, Toyota contests the FIA-sanctioned World Rally Championship, World Endurance Championship which features the famed 24 Hours of Le Mans, and the gruelling Dakar Rally. Closer to home, the Toyota 86 Racing Series seeks to develop the talent of tomorrow as Australia's premier grassroots circuit-racing category. Toyota also supports the Neal Bates Motorsport team in the Australian Rally Championship.